There are a lot of people in the homophobic world of hip hop who probably do find Mykki Blanco too freaky to deal with. The rapper's practically a one man gay pride festival. He spits about screwing dudes, wears impressively tight jeans and also dabbles in transgenderism (in fact, most of this mixtape seems to be told from the perspective of his female persona). All in all, he's a libertarian's dream and a Pentecostal pensioner’s worst nightmare. Of course, Mykki doesn’t care what people think and isn’t out to convert anybody on this record. He/she’s just out to be himself/herself (someone tell me how the prononuns work in this situation) and if that means offending a few sensitive ears, whoopdifuckingdoo. The attitude on this record is truly punk – and that makes it pretty exciting. Every song is blunt and ballsy. Matching the lyrics are some equally lurid beats. They’re bassy and industrial and super lo-fi: Death Grips a la mode. Accessibility was never an intention here. A bit of charm and wit admittedly wouldn’t have done a miss on this record. Some of the tracks try a little too hard to be in-your-face and they do end up coming across as a bit cheap. The track, Cyberdog, is simply horrible. The techno beat is as gaudy as LEDs on a wedding dress and I don’t know what the Germanic vocals are all about. 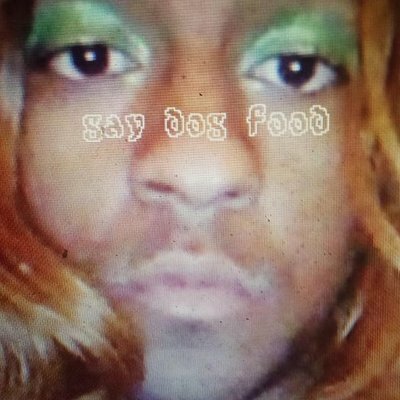 As for the album title, well, I’m still trying to work out what gay dog food could possibly mean. Dog food that’s attracted to other dog food? That don't make a darn bit of sense!